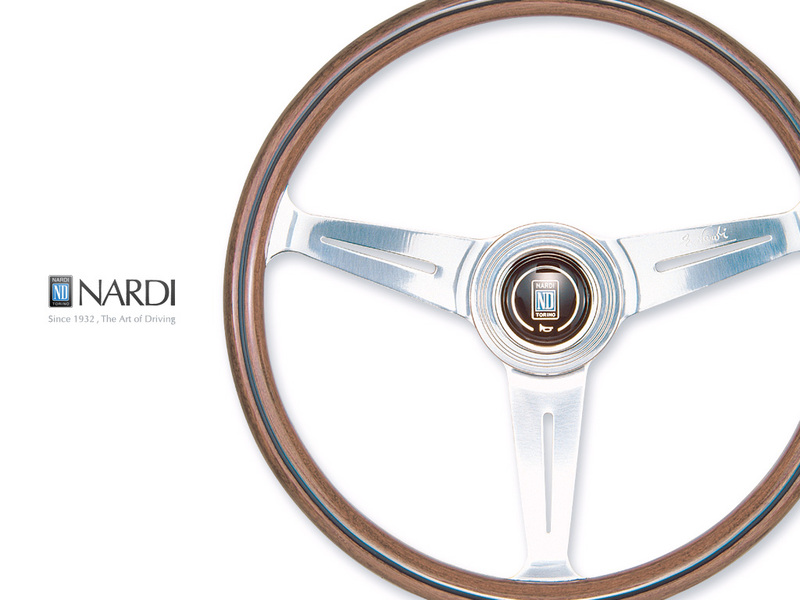 Thank you for checking out the RHDJapan blog. 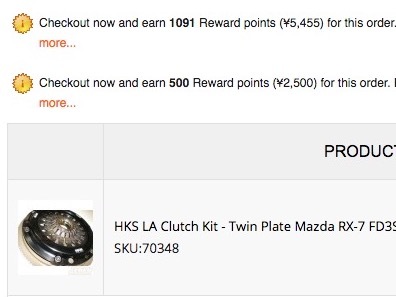 For the rest of the year RHDJapan will be providing extra Reward Bonus Points on the purchase of any Clutch Kit from HKS! 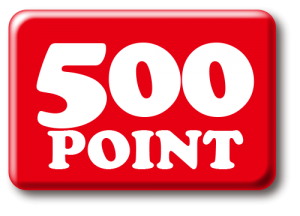 RHDJapan points system is very generous and the extra points will be added on top of normal points accumulated. 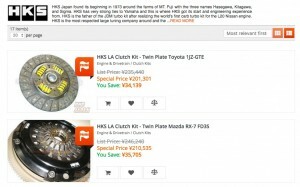 This will provide a discount of up to JPY7955 on your following order!